Buried in the Dodd-Frank Wall Street Reform and Consumer Protection Act is a provision requiring publicly listed American companies to disclose if their tin, tungsten, coltan or gold come from Congo or its neighboring countries. It was inserted into the 2010 landmark legislation to stem the trade in resources that fuels armed groups in parts of Africa. While American companies are required to conduct due diligence to minimize risks that minerals could be fueling militias, that effort is at best a work in progress, according to reporting by Laura Kasinof for The WorldPost. 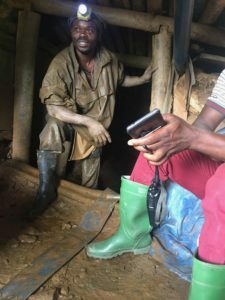 Since Dodd-Frank, militias in eastern Congo have proliferated and minerals coming from militia-controlled mines are still making their way into the global market. In photo by Laura Kasinof, a miner emerges from the 500-foot deep Kachuba tin mine in February. A grant from the Fund for Investigative Journalism supported the work. “This award gives national recognition to the power and necessity of local reporting at a time when journalism everywhere is under threat. As a nonprofit newsroom, we’re fortunate to have a community in Louisville that provides a strong backbone for this work, ” Stephen George, interim president of Louisville Public Media, said on its website. The Society of Professional Journalists is honoring Indiana public radio station WNIN with a Sigma Delta Chi Award for the station’s year-long investigation into an Indiana psychologist whose mental evaluations are now under scrutiny. The psychologist had admitted to authorities that he had falsified a mental evaluation in one criminal case, prompting authorities to launch an inquiry that encompassed nearly 80 other criminal cases in which the psychologist had provided evaluations. WNIN’s own inquiry, “A Scar on the System: The Case of Albert Fink,” uncovered more than ten thousand Social Security disability claims for which the psychologist provided exams or testing. FIJ provided financial support for the project. 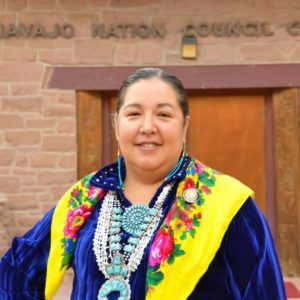 Rebecca Clarren dug through databases and tribal court files for her report, co-written with Jason Begay, on sexual discrimination, harassment and assault in tribal workplaces. Their piece for InvestigateWest, “Confronting the ‘Native Harvey Weinsteins,'” which was also run by The Nation, showed the challenges in investigating such violations. Part of the problem, Clarren and Begay report, stems from the the federal government’s decision to exempt tribes from the Title VII of the Civil Rights Act. Fewer than twenty tribes have created their own legal codes to fill this void. 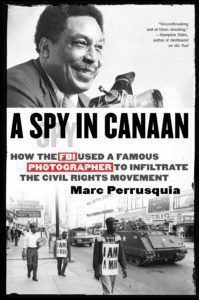 Marc Perrusquia’s new book, A Spy In Canaan: How the FBI Used a Famous Photographer to Infiltrate the Civil Rights Movement, tells how a long-running newspaper investigation uncovered civil rights photographer Ernest Withers’ double life as a paid FBI informant. Released March 27 by Melville House in New York, the book reveals that Withers helped the FBI monitor a broad range of individuals and organizations active in the civil rights, peace and labor movements in Memphis between 1958 and 1976, including Dr. Martin Luther King Jr.’s Southern Christian Leadership Conference, the Communist Party, the Black Panthers, the Congress of Racial Equality and the Southern Student Organizing Committee. The Washington Post recently reviewed the book. Daffodil Altan, Andrés Cediel, and the Investigative Reporting Program at the University of California, Berkeley, have teamed with FRONTLINE to tell the story of Guatemalan teens forced to work against their will on an egg farm in Ohio. The investigation into labor trafficking exposes a criminal network that exploits undocumented minors, companies that profit from forced labor and the role of the U.S. government. 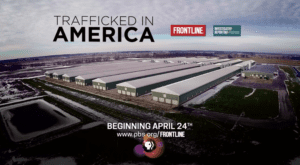 The documentary, “Trafficked in America,” aired on April 24, 2018, on PBS stations. For decades, the Tennessee Valley Authority bought and traded mineral rights from energy companies in Illinois. During that time, from a period stretching from the 1960s into the 1980s, the TVA also signed deals with hundreds of farmers who agreed to sell their mineral rights and promised to sell their land if it was needed for mining. But as Kari Lydersen reports for Energy News Network, many of those farmers or their descendants now regret those deals, saying they never imagined the situation would play out as it has: with private companies profiting handsomely off the coal and using a destructive form of mining that was not common at the time they signed. Meanwhile the terms of TVA’s little-known leases seem like worse deals for the public than leases for BLM coal that have been widely criticized; and the mine continues to expand despite serious safety and environmental concerns. 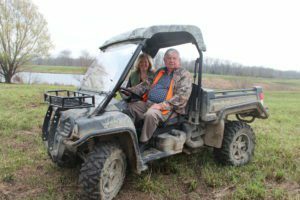 In photo by Kari Lydersen for Energy News Network, Pat and Mark Kern could be forced to sell their farm because of a deal Mark’s father signed almost four decades ago.